Valentine’s Day is only a few hours away and there are many people out there scrambling to plan the perfect day/evening/date. If you are planning a date night at home this Valentine’s Day, O.co has many different items that will perfectly accent your home. These slim and sleek Fitz and Floyd Onyx Gold Glass Flutes will bring life to any party or relaxing times with your friends and family. Why not celebrate Valentine’s Day at home with these glass flutes? Fill them with your favorite champagne, wine or virgin drink to toast your evening. 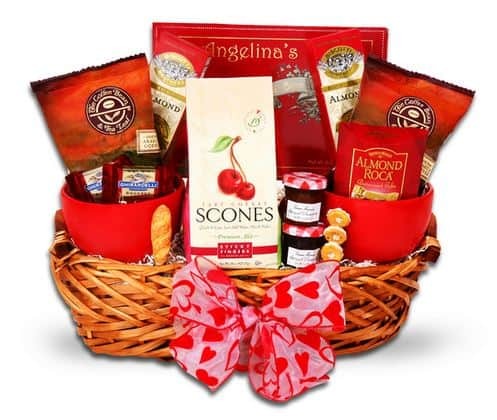 O.co has beautiful decor and delicious looking gift baskets centered around Valentine’s Day. I think that this Breakfast In Bed For My Valentine Gift Basket would make a great Valentine’s gift. O.co has other great items like a Handcrafted Sustainably Harvested Acacia Wood Heart Shaped Bowl, Men’s Cufflinks Inc Classic King Red/White/Black, Olivia Pratt Women’s With Love Leather Band Watch and MUCH MORE! 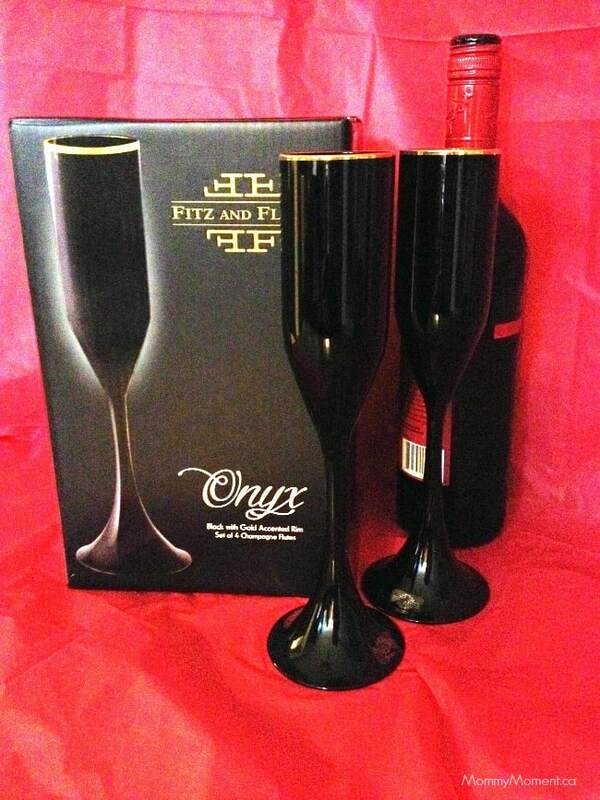 What would you fill the Fitz and Floyd Onyx Gold Glass Flutes with on Valentine’s Day? Wow! looks like a pretty good date night!